Alaska SeaLife Center - This marine science facility combines research, wildlife rehabilitation and public education. Algalita Marine Research Foundation - The accumulation of millions of tons of plastic debris in the world's oceans is creating an unforeseen and serious problem for mankind. Algalita Research is dedicated to the protection of the marine environment and its watersheds through research, education, and restoration. Alvin - The history of Alvin: In June 1964, Deep Submergence Vehicle Alvin was commissioned on the Woods Hole Oceanographic Institution dock. The dream of building a human-occupied deep ocean research submersible began eight years earlier, when participants at a symposium in Washington drafted a resolution that the U.S. develop a national program for undersea vehicles. American Society of Limnology and Oceanography (ASLO) - ASLO promotes the interests of limnology, oceanography and related sciences and the exchange of information across the range of aquatic science. ASLO is best known for its journal, Limnology and Oceanography (L&O), its interdisciplinary meetings, and its special symposia. Beneath the Sea - Part of PBS' Scientific American Frontiers series. Bigelow Laboratory for Ocean Sciences - Studys biological productivity of marine food webs. Biogeoinformatics of Hexacorals - Interfacing geospatial, taxonomic and environmental data for a group of marine invertebrates: corals, sea anemonies, and their allies. Blue Ocean Institute - Dedicated to building a wider, more inspired cultural atmosphere for ocean conservation through science, art, and literature. Also see the Institute's Guide to Ocean Friendly Seafood. Bureau of Oceans and International Environmental and Scientific Affairs (OES) - The Department of State's focal point for foreign policy formulation and implementation in global environment, science, and technology issues. California Coastkeeper Alliance - Unites 12 local waterkeeper programs to fight for swimmable, fishable and drinkable waters for California communities and ecosystems. Careers in Oceanography, Marine Science & Marine Biology - Career information. Center for Marine Conservation (CMC) - Committed to protecting ocean environments and conserving marine life. Centre for Marine Science and Technology (CMST) - Marine technology research and development facility in Australia. Clean Seas - Working to turn the tide on plastic in our oceans. Coast Guard Cutter HEALY - Technologically advanced icebreaker designed to conduct a wide range of research activities, providing more than 4,200 square feet of scientific laboratory space, numerous electronic sensor systems, oceanographic winches, and accommodations for up to 50 scientists. Coastal Barriers Resources Act - U.S. Public Law 97-348 (96 Stat. 1653; 16 U.S.C. 3501 et seq. ), enacted October 18, 1982, designated various undeveloped coastal barrier islands, depicted by specific maps, for inclusion in the Coastal Barrier Resources System. Areas so designated were made ineligible for direct or indirect Federal financial assistance that might support development, including flood insurance, except for emergency life-saving activities. Exceptions for certain activities, such as fish and wildlife research, are provided, and National Wildlife Refuges and other, otherwise protected areas are excluded from the System. Coastal Zone Management Act Of 1972 - Dealing with coastal zone managemtn in the U.S.
Conservation of Antarctic Marine Living Resources (CCAMLR) - The 1982 Convention for the Conservation of Antarctic Marine Living. Consortium for Oceanographic Activities for Students and Teachers (COAST) - A working collaborative designed to effectively deliver oceanographic and coastal processes education to pre- and inservice teachers from kindergarten through the twelfth grade (K-12). Convention on the Prevention of Marine Pollution by Dumping of Wastes and Other Matter 1972 and 1996 Protocol Thereto - Convention on the Prevention of Marine Pollution by Dumping of Wastes and Other Matter. Dumping at sea of waste generated on land and loaded on board specialized dumping vessels had been carried out for several years by industrialized countries before international rules to prevent marine pollution from this practice entered into force in 1974: the Oslo Convention for the North-East Atlantic and in 1975 the London Convention 1972 for marine waters worldwide other than the internal waters of States. Coral Reef Information System (CoRIS) - Designed to be a single point of access to NOAA coral reef information and data products, especially those derived from NOAA's Coral Reef Initiative Program. Deep Sea News - Blog from Craig McClain, Assistant Director of Research at the National Evolutionary Synthesis Center at Duke University, Peter Etnoyer, a doctoral fellow at Harte Research Institute for Gulf of Mexico Studies, and Kevin Zelinio, a researcher at the Marine Conservation Molecular Facility at Duke University's Marine Lab. Dive and Discover - Brings on board a series of research cruises to the Pacific and Indian Oceans, and gives you access to the latest oceanographic and deep submergence research as it happens. El Niño Theme Page - Introduction to El Niño, a disruption of the ocean-atmosphere system in the tropical Pacific having important consequences for weather around the globe. EPA: Office of Wetlands, Oceans, and Watersheds - News, resources, FAQs, links. Extreme 2000 - Voyage to the Deep - On 12 Jan 00, a team of marine scientists from the University of Delaware and several other universities departed on their first deep-sea expedition of the millennium: Extreme 2000. Led by chief scientist Dr. Craig Cary, the team explored areas where underwater geysers called hydrothermal vents occur in the Sea of Cortes off the west coast of Mexico. The scientists descend 2.4 kilometers (1.5 miles) to the seafloor aboard the famous deep-sea sub Alvin, operated by the Woods Hole Oceanographic Institution. Eyak Preservation Council - At the heart of all of EPC's work are the wild salmon, their pristine habitat and the ecosystems that not only sustain the returning salmon but also the traditional heritage and economies that depend on them. Fisheries Centre - The Fisheries Centre at University of British Columbia was founded in 1992 to focus and promote the multidisciplinary study of fisheries. Analytical tools developed in a broad spectrum of parent subjects, including biology, oceanography, economics, engineering, mathematics, sociology, planning and policy are employed in order to assess, appraise and forecast the impacts of both human and natural processes on fishery resources. Fisheries and Aquaculture Department - Working for the Food and Agriculture Organization of the United Nations to facilitate and secure the long-term sustainable development and utilization of the world's fisheries and aquaculture. FishSource - A resource about the status of fish stocks and fisheries. Its aim is to provide major seafood buyers with up-to date, impartial, actionable information on the sustainability of fisheries and the improvements they need to make to become sustainable. Florida Museum of Natural History Ichthyology Department - This page contains, educational sections about the biology, ecology and conservation of fishes and sharks. A photo gallery features the work of world-renowned underwater photographers. Host for International Shark Attack File (ISAF), International Union for the Conservation of Nature and Natural Resources (IUCN) Shark Specialist Group and the Southeastern Fishes Council. GEOTRACES - Identifies the processes and quantifies fluxes that control the distributions of key trace elements and isotopes in the ocean, and to establish the sensitivity of these distributions to changing environmental conditions. Global Alliance Against Industrial Aquaculture (GAAIA) - An international network dedicated to advancing environmentally and socially responsible aquaculture. GAAIA recognizes that salmon, shrimp, tuna and 'Frankenfish' farming jeopardizes sustainable and safe seafood production. By highlighting worst aquaculture practices, GAAIA fights against standards-setting and certification schemes for farmed salmon and shrimp farming in particular. Global Directory of Marine (and Freshwater) Professionals (GLODIR) - A database maintained by the Intergovernmental Oceanographic Commission of UNESCO (IOC), containing information on individuals involved in all aspects of marine or freshwater research and management. Guide to the Orders of Trilobites - Trilobites are hard-shelled, segmented creatures that existed over 300 million years ago in the Earth's ancient seas. They went extinct before dinosaurs even existed, and are one of the key signature creatures of the Paleozoic Era, the first era to exhibit a proliferation of the complex life-forms that established the foundation of life as it is today. Harmful Algae Page - Focuses on harmful algae - microscopic, single-celled plants that live in the sea - and Red Tide. Indiana Underwater Science Program - Research and interpretation of submerged cultural and biological resources emphasizing park development and sustainable use. Institute for Fisheries Resources (IFR) - Fishery and conservation research. Its mission is to protect and restore fish populations and the human economies that depend on them. Integrated Science Data Management (ISDM) - A branch of Canada's federal Department of Fisheries and Oceans (DFO). ISDM's mandate is to manage and archive ocean data collected by DFO, or acquired through national and international programmes conducted in ocean areas adjacent to Canada, and to disseminate data, data products, and services to the marine community. Intergovernmental Oceanographic Commission (IOC): Tsunami Programme - Aims at reducing the loss of lives and livehoods that could be produced worldwide by tsunamis. International Coastal Cleanup - The largest beach and waterway cleanup program with data collection in the world. Volunteers from around the globe and 55 U.S. states and territories participate each year - clearing tons of trash from coastlines, rivers and lakes. International Maritime Organisation (IMO) - In 1948 an international conference in Geneva adopted a convention formally establishing IMO (the original name was the Inter-Governmental Maritime Consultative Organization, or IMCO, but the name was changed in 1982 to IMO). The purposes of the Organization, as summarized by Article 1(a) of the Convention, are "to provide machinery for cooperation among Governments in the field of governmental regulation and practices relating to technical matters of all kinds affecting shipping engaged in international trade; to encourage and facilitate the general adoption of the highest practicable standards in matters concerning maritime safety, efficiency of navigation and prevention and control of marine pollution from ships." International Ocean Institute (IOI) - Devoted to studying and preserving the world's oceans. International Oceanographic Data and Information Exchange (IODE) - A programme of the Intergovernmental Oceanographic Commission of UNESCO. International Seabed Authority (ISA) - International organization established under the 1982 United Nations Convention on the Law of the Sea and the 1994 Agreement relating to the Implementation of Part XI of the United Nations Convention on the Law of the Sea. International Tribunal for the Law of the Sea - The United Nations Convention on the Law of the Sea establishes a comprehensive legal framework to regulate all ocean space, its uses and resources. It contains, among other things, provisions relating to the territorial sea, the contiguous zone, the continental shelf, the exclusive economic zone and the high seas. It also provides for the protection and preservation of the marine environment, for marine scientific research and for the development and transfer of marine technology. One of the most important parts of the Convention concerns the exploration for and exploitation of the resources of the seabed and ocean floor and subsoil thereof, beyond the limits of national jurisdiction. The Convention declares the Area and its resources to be "the common heritage of mankind ". The International Seabed Authority, established by the Convention, administers the resources of the area. The Convention provides for four alternative means for the settlement of disputes: the International Tribunal for the Law of the Sea, the International Court of Justice, an arbitral tribunal constituted in accordance with Annex VII to the Convention, and a special arbitral tribunal constituted in accordance with Annex VIII to the Convention. Lost City Expedition - Exploration of the Lost City Hydrothermal Field at the summit of the Atlantis Massif, 30°N on the Mid-Atlantic Ridge. During this 32 day expedition, 24 scientists onboard the research vessel the Atlantis explored active limestone chimneys rising 200 feet above the seafloor. Louisiana Universities Marine Consortium (LUMCON) - Formed in 1979 to increase society's awareness of the environmental, economic and cultural value of Louisiana's coastal and marine environments by conducting research and education programs directly relevant to Louisiana's needs in marine science and coastal resources and serving as a facility for all Louisiana schools with interest in marine research and education. Mangrove Action Project - Dedicated to reversing the degradation and loss of mangrove forest ecosystems worldwide. Its main goal is to promote the rights of traditional and indigenous coastal peoples, including fishers and farmers, to sustainably manage their coastal environs. MarBEF - A network of excellence funded by the European Union and consisting of 94 European marine institutes, is a platform to integrate and disseminate knowledge and expertise on marine biodiversity, with links to researchers, industry, stakeholders and the general public. MareNet - Worldwide network of marine research instituions and documents. Mariana Trench - The Mariana Trench, located in the Pacific Ocean, just east of the 14 Mariana Islands, is the deepest part of the earth's oceans, and the deepest location of the earth itself. Marine and Fisheries [Scotland] - Provides scientific support and advice across a range of government policy interests in aquaculture, aquatic environment, fish health, and marine and freshwater fisheries. Marine Fish Conservation Network - A coalition of over 155 national and regional environmental organizations, commercial and recreational fishing groups, aquariums, and marine science groups dedicated to conserving marine fish and to promoting their longterm sustainability. Marine Institute (marine.ie) - Ireland's resource, created under statute, for marine research and development. Marine Technology Society - Devoted to ocean and marine engineering, science and policy. MarLIN - Comprehensive source of information about marine habitats, communities and species around Britain and Ireland. Monterey Bay Aquarium - Exhibits, programs and publications introduce people from all walks of life to the wonders of the marine world. Also see Sea Notes, the collective work of a number of staff at the Monterey Bay Aquarium -- all interested in sharing stories and images that inspire action to protect the world's oceans and ocean wildlife. National Data Buoy Center: Data Buoy Information - Moored buoy, C-MAN, and drifting buoy data available in real-time. National Estuarine Research Reserve System - Protects more than 1.3 million coastal and estuarine acres in 28 reserves located in 22 states and Puerto Rico for purposes of long-term research, environmental monitoring, education and stewardship. National Estuary Program - Information about the U.S. Environmental Protection Agency's National Estuary Prograrm. National Marine Fisheries Service - NOAA Fisheries (the National Marine Fisheries Service) rebuilds and maintains sustainable fisheries, promotes the recovery of protected species, and protects and maintains the health of coastal marine habitats in the U.S.
Antarctic Ecosystem Research - Antarctica is the last place on earth where development and economic interests are almost non-existent. The United States is one of 25 nations (see CCAMLR) which regulate fishing activities in waters surrounding the southern continent. NOAA Fisheries' U.S. Antarctic Marine Living Resources (AMLR) Program is a national program providing information needed for the development and support of U.S. policy regarding the conservation and management of the marine living resources in the ocean areas surrounding Antarctica. The AMLR Program emphasizes directed research to manage the Antarctic marine living resources from an ecosystem perspective. To this end, the principal mission of the AMLR research component is to collect the scientific information needed to detect, monitor, and predict the effects of harvesting and associated activities on target, dependent, and related species and populations of the Antarctic marine living resources and the ecosystem(s) of which they are a part. Arctic Council/Program for the Conservation of Arctic Flora and Fauna (CAFF) - Established to address the special needs of Arctic species and their habitats in the rapidly developing Arctic region. It forms a program of the Arctic Environmental Protection Strategy (AEPS) which was adopted by Canada, Denmark/Greenland, Finland, Iceland, Norway, Russia, Sweden and the United States through Ministerial Declaration at Rovaniemi, Finland in 1991. Arctic Environmental Protection Strategy (AEPS) - Increased awareness of anthropogenic pollution in the Arctic, and concern over its possible effects, led to the adoption of the AEPS (also referred to as the Rovaniemi Process) by the governments of the eight circumpolar nations at the First Arctic Ministerial Conference (Rovaniemi, Finland, June 1991). North Pacific Marine Science Organization (PICES) - Provides an international forum to promote greater understanding of the biological and oceanographic processes of the North Pacific Ocean and its role in global environment. International Council for the Exploration of the Sea (ICES) - ICES is the oldest oceanographic organization in the North Atlantic area and is the premier body for giving advice at the international level on scientific and policy matters relating to fisheries, pollution, and other marine environmental issues. National Marine Sanctuaries - Information about U.S. marine sanctuaries - how they were established, how they're managed, their scientific and educational programs, and events that occur in them throughout the year. Channel Islands - Off coast of Santa Barbara, California. The sanctuary encompasses the waters surrounding Anacapa, Santa Cruz, Santa Rosa, San Miguel and Santa Barbara islands, extending from mean high tide to seven miles (six nautical miles) offshore. Cordell Bank - About 52 miles (45 nautical miles) northwest of the Golden Gate Bridge, at the edge of the continental shelf. Fagatele Bay - Located on Tutuila, the largest island of American Samoa, its borders extend from Steps Point, the southernmost point of the island, to Fagatele Point on the island's southwestern shore. Florida Keys - The sanctuary extends 220 miles in a northeast to southwest arc between the southern tip of Key Biscayne, south of Miami, to beyond, but not including, the Dry Tortugas Islands. Flower Garden Banks - Located about 110 miles off the coasts of Texas and Louisiana. Harbors the northernmost coral reefs in the United States and serves as a regional reservoir of shallow water Caribbean reef fishes and invertebrates. Gray's Reef - Located 32 kilometers (17.5 nautical miles) off Sapelo Island, Georgia. Sanctuary boundaries protect 17 square miles of open ocean. Gulf of the Farallones - A large expanse of Pacific Ocean along with nearshore tidal flats, rocky intertidal areas, wetlands, subtidal reefs, and coastal beaches located north and west of San Francisco, California. Hawaiin Islands Humpback Whale - The waters around the main Hawaiian Islands of Kauai, Oahu, Hawaii, Maui, Molokai, Lanai and Kaho'olawe constitute one of the world's most important North Pacific humpback whale (Megaptera novaeangliae) habitats and the only place in the U.S. where humpbacks reproduce. Monitor - The wreck site of the USS Monitor which sank in a gale off the coast of North Carolina in 1862. Monterey Bay - The waters of Monterey Bay and the adjacent Pacific Ocean off the central California coast. This vast area stretches 400 miles (348 nautical miles) north to south, extends an average of 35 miles (30 nautical miles) offshore, and covers over 5300 square miles (4,024 square nautical miles). Papahanaumokuakea Marine National Monument - The single largest conservation area under the U.S. flag, and one of the largest marine conservation areas in the world. It encompasses 139,797 square miles of the Pacific Ocean (105,564 square nautical miles) - an area larger than all the country's national parks combined. The extensive coral reefs found in Papahanaumokuakea - truly the rainforests of the sea - are home to over 7,000 marine species, one quarter of which are found only in the Hawaiian Archipelago. Many of the islands and shallow water environments are important habitats for rare species such as the threatened green sea turtle and the endangered Hawaiian monk seal. Olympic Coast - Covers over 3300 square miles (2500 square nautical miles) of ocean waters off Washington State's rugged and rocky Olympic Peninsula coastline. Sanctuary waters extend an average of 35 miles (30 nautical miles) offshore and span 135 miles (117 nautical miles) north to south, stretching from United States/Canada international boundary to the Copalis River. Stellwagen Bank - The slow retreat of massive Ice Age glaciers formed what is today Stellwagen Bank, a sand and gravel plateau at the mouth of Massachusetts Bay. Thunder Bay - The national system's first Great Lakes Sanctuary encompasses 448 square miles of northwest Lake Huron, off the northeast coast of Michigan's Lower Peninsula. National Marine Sanctuaries Media Library - A collection of select video clips and high-resolution still images from America's underwater treasures. National Ocean Service (NOS) - As U.S. advocate for coastal and ocean stewardship, the NOS develops the national foundation for coastal and ocean science, management, response, restoration, and navigation. Global Monitoring Division - What forces determine the Earth's climate? What destroys the ozone layer? What will happen to air quality in pristine regions? How are these environmental issues linked? Coastal Services Center - Works with various branches of NOAA and other federal agencies to bring information, services, and technology to the nation's coastal resource managers. The Center is a partner in over 100 ongoing projects geared to resolve site specific coastal issues. Coral Reef Conservation Program - News on NOAA's coral reef activities. Earth Observation Service (EOS) - At EOS, the U.S. is a founding member of the intergovernmental Group on Earth Observations (GEO), which is developing GEOSS. With human ingenuity and the political will of over 70 governments, GEOSS is a robust effort dedicated to building an integrated, comprehensive and sustained "system of systems" from many thousands of individual Earth observation technologies around the globe. Earth System Research Laboratory (ERSL) - Formed to pursue a broad and comprehensive understanding of the Earth system. This system comprises many physical, chemical and biological processes that need to be dynamically integrated to better predict their behavior over scales from local to global and periods of minutes to millennia. Global Monitoring Division - Conducts sustained observations and research related to global distributions, trends, sources and sinks of atmospheric constituents that are capable of forcing change in the climate of the Earth. This research will advance climate projections and provide scientific policy-relevant, decision support information to enhance society's ability to plan and respond. Harmful Algal Bloom operational Forecast System (HAB) - The tools developed through this project are designed to address Karenia brevis, formerly Gymnodinium breve, blooms in the Gulf of Mexico. This species, responsible for red tides, routinely occurs along the southwest coast of Florida in the late summer and early fall and can persist for up to three months. This type of bloom has occurred as far north as the barrier islands of North Carolina. Marine Geology & Geophysics - Provides scientific stewardship, products and services for sea floor and lakebed data, including geophysics (gravity, magnetics, seismic reflection, bathymetry), and data derived from sediment and rock samples. National Marine Sanctuaries (NOAA) - Information about U.S. marine sanctuaries - their history and current management, their scientific and educational programs, and their continuing efforts to conserve the nation's ocean and coastal treasures. National Oceanographic Data Center (NODC) - Holds the world's largest collection of publicly available oceanographic data. NOAA Central Library - Comprehensive coverage of hydrographic surveying (from 1820); oceanography, meteorology, and hydrology (from 1870); living marine resources (from 1970 with selected coverage from 1870), and meteorological satellite applications (from 1960). Office of Ocean and Coastal Resource Management (OCRM) - Provides national leadership to state and territory coastal programs and estuarine research reserves. Office of Protected Resources - A headquarters program office of NOAA's National Marine Fisheries Service (NOAA Fisheries Service, or NMFS), under the U.S. Department of Commerce, with responsibility for protecting marine mammals and endangered marine life. Restoration Center - Located in NOAA Fisheries, the Restoration Center is the only office within NOAA solely devoted to restoring the coastal and marine habitats that support the nation's fisheries and other trust resources. Through habitat restoration, the Restoration Center contributes to the sustainability of commercial and recreational fisheries. NOAA Central Library - Networked to the NOAA regional and field libraries with access to their specialized collections. NOAA Fisheries/National Marine Fisheries Service - U.S. national marine fisheries service. NOAA Ocean Explorer - An educational Internet offering for all who wish to learn about, discover, and virtually explore the ocean realm. It provides public access to current information on a series of NOAA scientific and educational explorations and activities in the marine environment. The site provides a platform to follow explorations in near real-time, learn about exploration technologies, observe remote marine flora and fauna in the colorful multimedia gallery, read about NOAA's 200-year history of ocean exploration, and discover additional NOAA resources in a virtual library. NMFS Commercial Fishery Landings Data - The Fisheries Statistics & Economics Division of the National Marine Fisheries Service (NMFS) has automated data summary programs that anyone can use to rapidly and easily summarize U.S. commercial fisheries landings. NMFS Foreign Trade Information - The Fisheries Statistics & Economics Division of the National Marine Fisheries Service (NMFS) has maintained a foreign trade data base for many years. It has developed a series of programs that can be used to summarize U.S. foreign trade in fishery products for the years 1975 to present. You can summarize the kilos and dollar value by your choice of years, products, countries, and the type of trade. North Pacific Right Whale - Enormous, gentle, and playful, right whales have had the misfortune of being defined, even named, according to their value as hunted rather than living creatures. Whalers named the species thinking that these were the "right whales" to kill because they're slow swimmers, they swim within sight of shore, and their carcasses float. Right whales were hunted for oil, meat, and apparel materials - for corset stays, umbrella ribs, and buggy whips - until the early 20th century. Though the North Pacific right whale has been considered officially endangered for almost 40 years, it long shared its Endangered Species Act listing with the North Atlantic right whale, thus not receiving the individual recognition and protection it deserved. But in 2008, in response to the Center for Biological Diverisity's 2005 petition and 2006 lawsuit, the Service listed the whale as endangered as a distinct species, significantly increasing the whale's legal protection and triggering requirements to prepare a recovery plan and take other measures for the species' conservation. Unfortunately, on the same day the whale's individual endangered species status was made final, the Bush administration announced it was moving forward with a proposal to open up essential whale habitat to oil and gas leasing. Ocean Futures Society - A non-profit organization resulting from a merger of the Jean-Michel-Cousteau Institute and the Free Willy Keiko Foundation. Its mission is to provide the global community with a forum for exploring issues affecting the ocean, its inhabitants, and its habitats. Ocean Planet: Smithsonian - Ocean Planet, premiered at the Smithsonian Institution's National Museum of Natural History from April 1995 to April 1996, where it attracted nearly two million visitors. This electronic online companion exhibition contains all of the text and most of the panel designs and images found in the traveling exhibition. Ocean Portal - Developed by the Smithsonian Institution's National Museum of Natural History and more than 20 collaborating organizations. Ocean Project, The - Since its formation in the late 1990s, The Ocean Project has grown from a handful of founding North American aquariums and conservation organizations into the world's most extensive network for advancing ocean education and action, with nearly 1,000 Partner zoos, aquariums, and museums (ZAMs), plus conservation and education organizations, agencies, and institutions in all 50 U.S. states and 85 countries. Collectively, our Partners reach over 300 million people - more than attendance at all major American sporting events combined. Ocean World - Oceanography information and related topics. Ocean98 - OCEAN98 Foundation was founded in 1997 as a nonprofit NGO aiming to promote and to provide information and education to broad international audiences on all aspects of the importance of oceans, seas, and coastal waters for all life on Earth. Oceana - Campaigns to protect and restore the world's oceans. Its teams of marine scientists, economists, lawyers and advocates win specific and concrete policy changes to reduce pollution and to prevent the irreversible collapse of fish populations, marine mammals and other sea life. Oceanbites - Explains recent literature in all oceanographic fields in a way that non-experts can understand. GOSIC - The Global Observing Systems Information Center: The GOSIC pages provide searchable information about the Global Observing Systems (Global Climate Observing System, Global Ocean Observing System, Global Terrestrial Observing System) datasets. International Research Ship Schedules and Information Pages: The Research Ship pages provide a searchable database of schedules and characteristics for deep-water scientific research vessels. World Ocean Circulation Experiment (WOCE) - Provides searchable information about the WOCE field program, analyses, program organization, and more. WOCE is designed to understand the large-scale circulation of the world ocean, and in particular its impact on climate. Oceanic Society - Founded to protect the marine environment. Coordinates the Oceanic Society Expeditions educational travel program, Whale Watch Cruises, and other activities. Oceanography Earth Sciences - Directory of resources. Oceanograhy Hotlist - Oceanography sites directory. Oceanography Society - Disseminate knowledge of oceanography and its application through research and education, to promote communication among oceanographers, and to provide a constituency for consensus-building across all disciplines of the field. Also see Oceanography magazine. Oceanography Theme Page - Directory to resources focusing on specific topics within oceanography. OceanPortal - An interactive online experience that inspires awareness, understanding, and stewardship of the world's oceans, developed by the Smithsonian Institution's National Museum of Natural History and more than 20 collaborating organizations. Office of Naval Research Science & Technology - Ocean facts and information. Naval discoveries. Pacific Environment - Protects the living environment of the Pacific Rim by promoting grassroots activism, strengthening communities and reforming international policies. Pew Environmental Group: Global Ocean Legacy - News and resources concerning efforts to establish protected marine areas and preservation of coral reefs. Perspectives on Ocean Science - UCTV series. Learn about ocean science from leading researchers at Scripps Institution of Oceanography. This series is taped at the Birch Aquarium at Scripps and has been in production since 2001. Pew Environment Group: Ocean - Working to advance policies needed to restore and protect living marine resources in U.S. waters. PISCO (Partnership for Interdisciplinary Studies of Coastal Oceans) - A research consortium involving marine scientists from four universities along the U.S. West Coast. Polar Science Center (PSC) - A multidisciplinary research facility involved in numerous studies of sea, ice, polar oceanography, and meteorology with primary funding from NASA, NOAA, NSF, and ONR. Poseidon Water - A project development specialist that partners with water agencies to deliver water infrastructure projects. Its primary focus is on the development of large-scale reverse osmosis seawater desalination plants. At the end of 2012, Poseidon reached financial close of the Carlsbad Desalination project in California, which, post-construction, will be the largest seawater desalination plant in the Western Hemisphere. Red Tide and Harmful Algal Blooms - The Harmful Algae Page is supported by a National Oceanic and Atmospheric Administration Center for Sponsored Coastal Ocean Research Coastal Ocean Program (NOAA/CSCOR/COP). Reef Environmental Education Foundation (REEF) - A grass-roots organization that seeks to conserve marine ecosystems by educating, enlisting and enabling divers and other marine enthusiasts to become active ocean stewards and citizen scientists. ReefBase - A global information system on coral reefs. Provides information services to coral reef professionals involved in management, research, monitoring, conservation and education. Royal Netherlands Institute for Sea Research (NIOZ) - NIOZ was founded in 1876 and is one of the oldest major European oceanographic institutions. Its mission is to pursue multidisciplinary marine research in coastal and shelf seas as well as in the open ocean through close co-operation between physicists, chemists, geologists and biologists. Savage Seas - Companion site to the PBS series offers a collection of informative pieces centered around the world's oceans. Sea Around Us Project - A Fisheries Centre partnership with Philadelphia's Pew Charitable Trusts which started in July 1999 and is led by Daniel Pauly. The aims of the project are to provide an integrated analysis of the impacts of fisheries on marine ecosystems, and to devise policies that can mitigate and reverse harmful trends whilst ensuring the social and economic benefits of sustainable fisheries. Sea Notes - The collective work of a number of staff at the Monterey Bay Aquarium -- all interested in sharing stories and images that inspire action to protect the world's oceans and ocean wildlife. Seafood Watch - A consumer's guide to sustainable seafood. SeaWeb - Research into the world ocean and into the life within it, current ocean news and newsletters. Seaflow - Building an international movement dedicated to protecting whales, dolphins and all marine life from active sonars and other lethal ocean noise pollution. Scripps Institute of Oceanography Library - Oceanography, ocean, marine biology, climatology, global change and the ocean, physical oceanography, seismology, earth science, chemical oceanography, biological oceanography. Southern Fried Science - A blog by a couple of marine science graduate students in the Carolina's who love the ocean, science, conservation, philosophy, education, debate, and controversy. 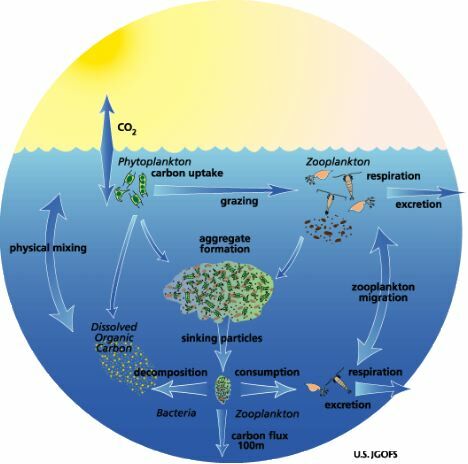 State of the Ocean - Works with the world's leading marine scientists to consider the cumulative impacts of anthropogenic stressors from climate change through to the harvesting of marine species and what the consequences of these are for the ability of the ocean to function as part of the planet's life support system and to provide food and other ecosystem services to humankind. Testing the Waters - A guide to water quality at vacation beaches provided by the Natural Resources Defense Council. Tubbataha Reefs Natural Park - Recognised as one of the Philippines' oldest ecosystems, containing excellent examples of pristine reefs and a high diversity of marine life. It is also an important habitat for internationally threatened and endangered marine species. Tubbataha lies at the heart of the Coral Triangle, the geographic centre of world marine biodiversity. Although the Coral Triangle covers just two percent of our planet's oceans, it contains at least 40 percent of the world's fish and 75 percent of corals. Turtle Excluder Device (TED) - The Turtle Excluder Device or TED is a grid of bars with an opening either at the top or the bottom. The grid is fitted into the neck of a shrimp trawl. Small animals like shrimp slip through the bars and are caught in the bag end of the trawl. Large animals such as turtles and sharks, when caught at the mouth of the trawl, strike the grid bars and are ejected through the opening. U.S. Commission on Ocean Policy - Information on the Commission and its mission, commission documents, news and notices. The Commission's final report, An Ocean Blueprint for the 21st Century, contains 212 recommendations addressing all aspects of ocean and coastal policy. On December 19, 2004, the Commission expired, as provided under the terms of the Oceans Act of 2000. U.S. Naval Research Laboratory - Corporate research laboratory for the Navy and Marine Corps. Conducts a broad program of scientific research, technology and advanced development. United Nations Atlas of the Oceans - An information system designed for use by policy makers who need to become familiar with ocean issues and by scientists, students and resource managers who need access to underlying data bases and approaches to sustainability. United Nations Convention on the Law of the Sea (10 Dec 1982) - Overview and full text. Winds: Measuring Ocean Winds from Space Science - The SeaWinds instrument on the QuikSCAT satellite was a specialized microwave radar that measured near-surface wind speed and direction under all weather and cloud conditions over Earth's oceans. SeaWinds uses a rotating dish antenna with two spot beams that sweep in a circular pattern. The antenna radiates microwave pulses at a frequency of 13.4 gigahertz across broad regions on Earth's surface. The instrument will collect data over ocean, land, and ice in a continuous, 1,800-kilometer-wide band, making approximately 400,000 measurements and covering 90% of Earth's surface in one day. World Oceans Day - The concept for a World Oceans Day was first proposed in 1992 by the Government of Canada at the Earth Summit in Rio de Janeiro. As a result of a United Nations General Assembly resolution passed in December 2008, World Oceans Day is now officially recognized by the UN as June 8th each year. Woods Hole Oceanographic Institution (WHOI) - Scientists at the WHOI have been probing the mysteries of the oceans for more than 65 years. WWW Tide and Current Predictor - Select a region here, then from that page, select a site for which to generate predictions. You will get basic predictions and a form for customized predictions. WWW Virtual Library - Oceanography - Information categorised by subject. This webpage last updated on Sunday, September 10, 2017 11:11 AM.